fast delivery , excellent service. Fiber optic light sources are a necessity for performing fiber optic network testing to measure the fiber optical loss for both single mode fiber cable and multimode fiber cables. They are designed to cover a variety of wavelength ranges to suit all optical testing needs and usually the optical light sources are used with the fiber optic power meter to test the fiber system loss. Light sources are offered in a variety of types including LED, halogen and laser. Usually the optical light source is used with the fiber optic power meters, they act as an economic and efficient solution for the fiber optic network works. Fiber-Mart offers handheld fiber optical light source and laser light source. Welcome to our store. Contact us at [email protected] or Live Chat with us. 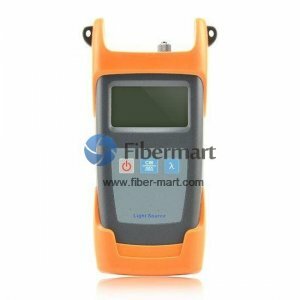 Buy other fiber optic products on Fiber-Mart. Save your money & time right now!